Below are the steps that I used to change the background of this image. Note that the settings have a lot to do with your image and they vary. Below I will explain how this works. Open the image that you want to change the background of in Photoshop and if the layer is locked, simply unlock it by double clicking on the layer in the layers window. When using the quick selection tool, hold down your left mouse button and drag along the lines of the foreground where the background meets. Note that you can release the left mouse button and continue again at anytime. When you go to far in, you can subtract from the selection by holding down the keyboard “option” key on a Mac or “alt” key on a Windows computer while holding down the left mouse button and dragging. When you subtract, you basically just drag in the opposite direction. When you want to add to the selection again, you simply let go of the “option” or “alt” key, release the left mouse button and then press the left mouse button and drag again to start adding. 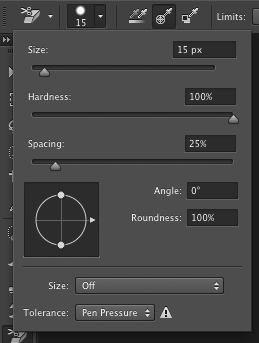 In Photoshop CC and I believe in other newer versions of Photoshop, the tip of your brush turns to a plus (+) sign when you add and to a minus sign (-) when you subtract. Note how I subtracted around the fingers because the quick selection tool went too far in. After you have finished selecting the entire area, simple clear the selection by going to “edit > clear” in the top toolbar or use the shortcut on your keyboard. Now you can open up your new background in Photoshop. If the layer is locked, you will want to unlock it by double clicking on it in the layers window. Then select the image with the rectangular marquee tool (simply hold the left mouse button and drag while making a selection around the image), go to “edit > copy” in the top toolbar or use the shortcut on your keyboard. Then go to the image that you just erased the background of and paste the new background by going to “edit > paste” or by using the paste shortcut on your keyboard. I then took the eraser tool and changed the opacity level to 30% so that I could clean the excess around the hair that the background eraser tool left behind. Just be sure to take it easy because if you erase too much, you’ll end up erasing the parts that you want to keep. If the opacity is too high, simply lower it.